If you know nothing about research and development, then you cannot solve problems. You can only create them. 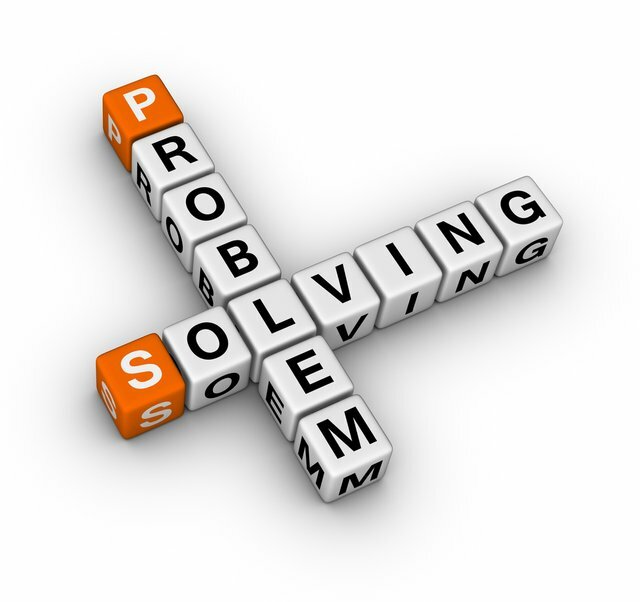 In order to solve a problem, you must first understand it. Second, you need to know how to research it. Third, you must know how to apply your research. Fourth, you should be able to develop a viable conclusion. And fifth, you need to be confident enough to stand by your conclusion and be able to explain your reasoning. If you cannot explain the reasoning behind your answer to the problem and back it up, then despite whether the answer is correct or not, it is invalid. This is because you lack concrete, informed development. “Because it just does” is not a researched and developed answer; therefore, it is invalid because it fails to answer the question of “Why”. 1+1=2 because anytime you add two like values they become twice as much as before. Because there are now two ‘ones’ then the only logical answer to 1+1 is 2. The same can be said about any other number used, such as 2+2=4 and 4+4=8 and so on. When broken down into its individual parts, 4 would have 4 parts if you added 4 additional parts and recalculated them by adding each one you would see that it has doubled from 4 to 8. This thus proves that 1+1=2 and why. I mentioned five steps to problem solving. The second step is to know how to research the problem. This means you must know where to go in order to find out how to solve the equation. It could be a book, a person, or the internet as long as it can give a viable reason as to why. If the site you go to for your research can not validate its own information, then it can not be used to create a valid conclusion. It can only theorize that its answer is correct. Validated research would show reasoning behind the answer of 2, and how it was formed. Thirdly, I stated that you must be able to apply such research. By applying your research you must also understand why it works, or does not work, and develop a theory of reasoned action behind it. For this purpose, you would first find out what 1+1 means and how it is used. Then you would try to find similar examples such as 2+2 and 4+4 that follow the same principle of doubling, like the answer 2 suggest of 1+1. The fourth statement, I implied, is to be able to develop a viable conclusion. In order to do so, you must be able to replicate the conclusion and receive the exact same results every time. Only then can it be backed up by factual evidence. If something theorized can be reproduced to the original standard repeatedly and is shown to be consistent throughout the process, then it no longer remains a theory but then becomes fact. The fifth part to problem solving, is to be confident enough to stand by your conclusion and explain your reasoning. Despite if the answer is correct, or not, without proper validity your conclusion can not be shown as factual. Therefore, you must be able to stand by your research and be ready to confront any opposition it may face. To do this, you must be prepared to explain your conclusion through reasoned action. So in conclusion, in order to appropriately solve problems of any nature, in any area or field, or in any form of study you must follow these five steps. The only valid way to accomplish anything is to properly prepare for it. You are not expected in life to know all the answers to everything in your field. However, you are expected to be able to understand the question, research it, validate it, and back up your conclusions with fact based reasoning.